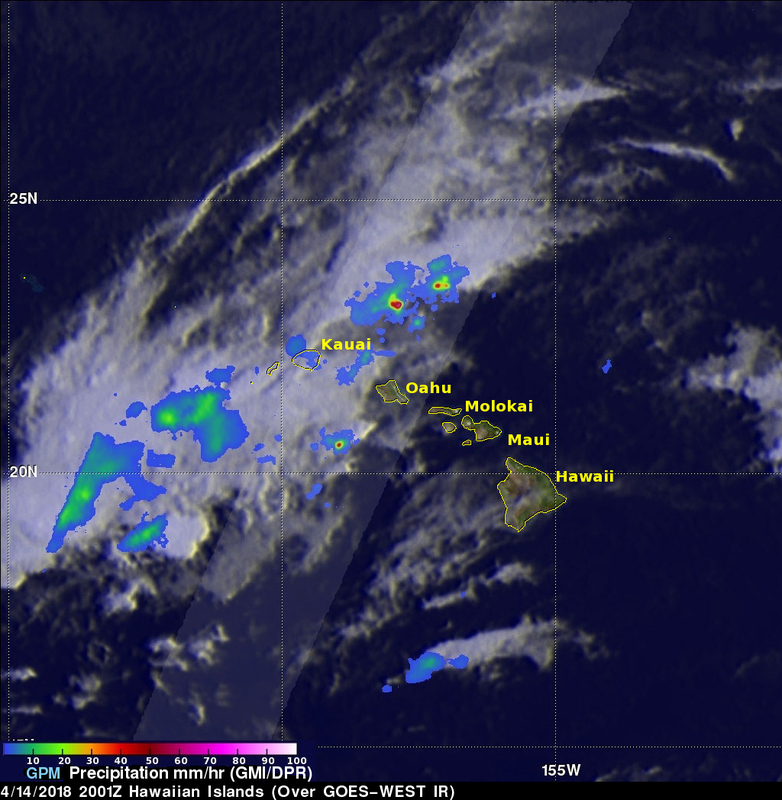 A low pressure trough moving slowly westward through the northwestern Hawaiian Islands caused destructive flooding and mudslides over the past weekend. The trough disrupted the normal northeast trade winds flow north of Oahu on April 12, 2018. This caused extremely heavy rainfall as the trough deepened and moved very slowly over Kauai during the weekend. The 28.1 inches (713 mm) of rain reported in Hanalei within a 24 hour period was close to a record for the small town on Kauai's northern coast. 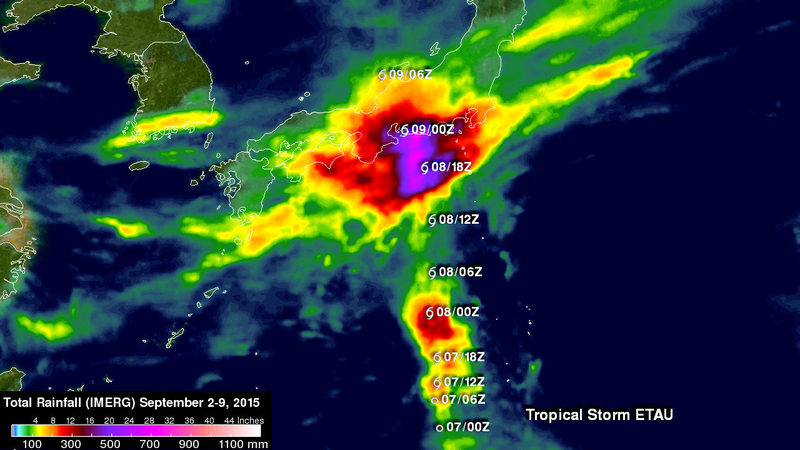 Almost 32.4 inches (822 mm) of rain was reported during the same period over Wainiha, Kauai. This landslide occurred on June, 1, 2007 on a mountain near Canmore in Alberta, Canada. 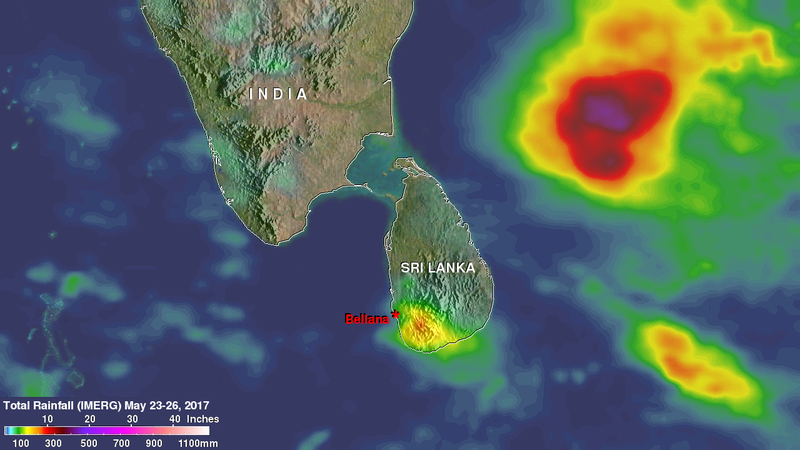 More than 90 people have been reported killed and over 100 missing due to a landslide in the village of Bellana, in the Kalutara district of Sri Lanka. 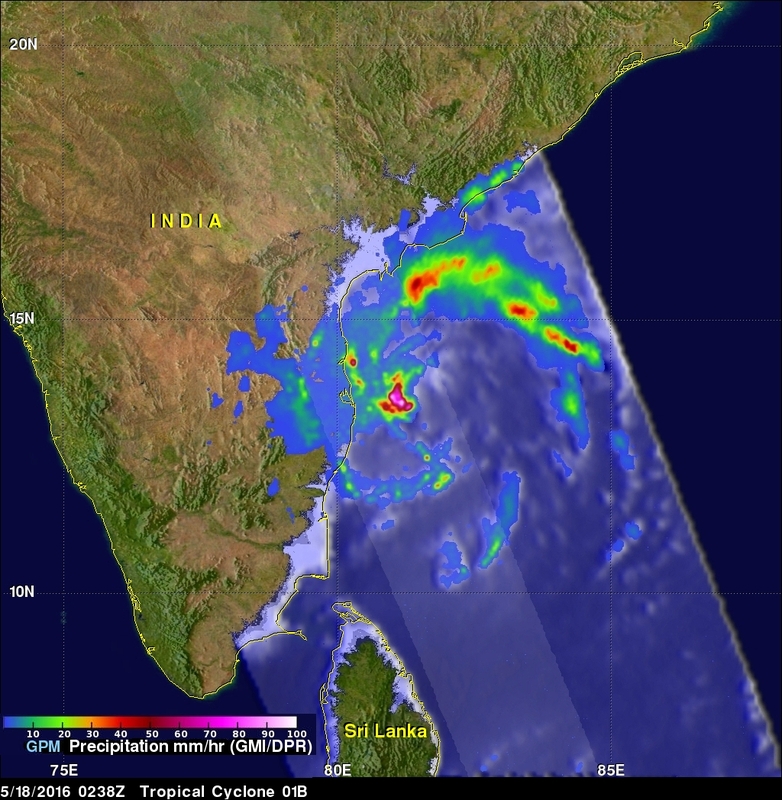 Heavy monsoon rainfall over the past few days caused the disaster. 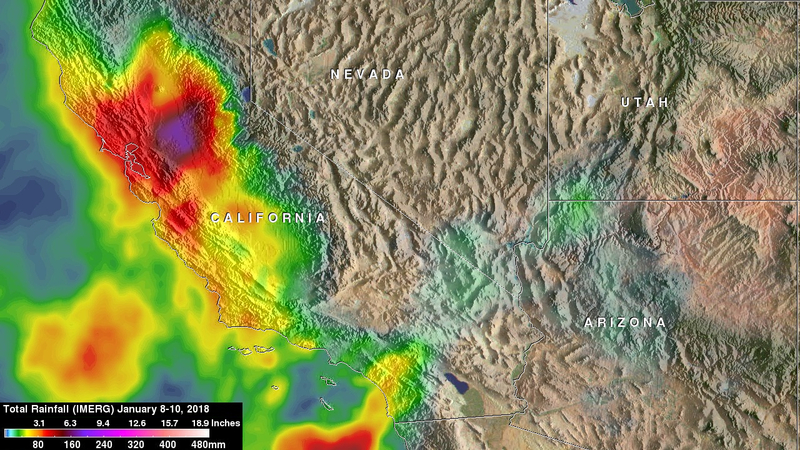 It is sunny in southern California today but recent unusually heavy rainfall led to rock slides, mudslides and flooding in that part of the country. 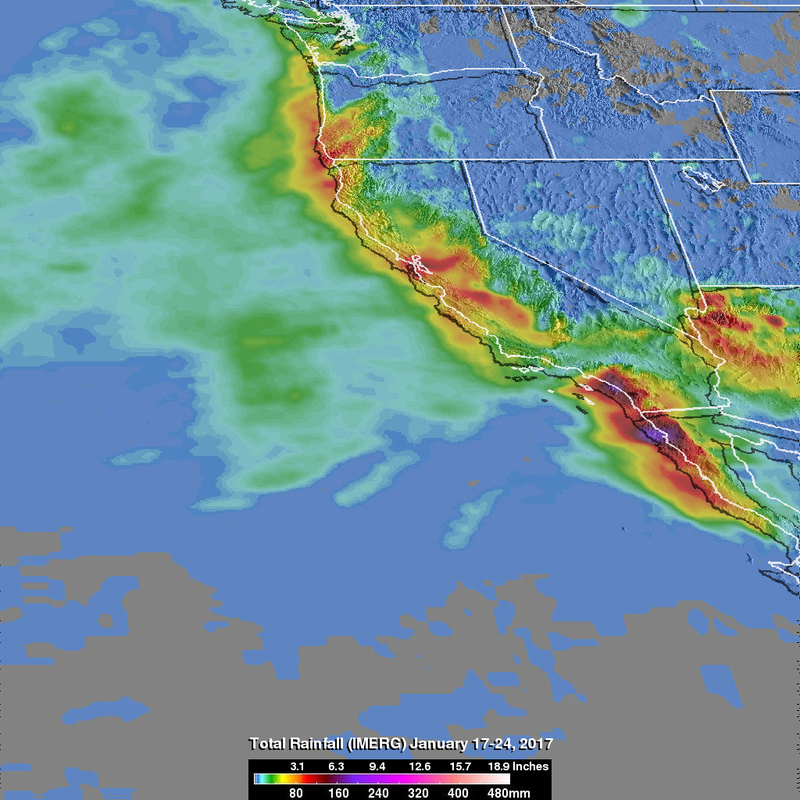 Rainfall of almost 4 inches (101.6 mm) in one day was reported in Long Beach, California. Some highways in the area were flooded due to intense downpours. Rainfall since the fall of 2016 has improved drought conditions over northern California but Southern California has been slower to improve because of the exceptional rainfall deficit in that area. The eye of hurricane Patricia hit the Mexican coast on October 23, 2015 at approximately 6:15 PM CDT(2315 UTC)near Cuixmala, Mexico. The maximum winds at that time were estimated to be 143 kts (165 mph). Patricia is weakening rapidly but continued heavy rain is expected to cause flash floods and mudslides in the Mexican states of Nayarit, Jalisco, Colima, Michoacan and Guerrero through Saturday October 24, 2015. Over the weekend the remants of Patricia are also expected to add to the extreme rainfall in Texas.